Minimally invasive spine surgery, or MISS as it is commonly referred to, is a newer and highly successful alternative to traditional ‘open’ surgery that offers far fewer risks to patients while still delivering the same great results. It is performed using a tool called an endoscope. This is a long, thin tube that has a bright light and camera lens at one end. The endoscope can be passed down into the body through very a small incision, with the light and camera feeding back real time video images which are transmitted onto screens in the operating room. This enables the surgeon to see what areas he is operating on and to perform the surgery to the highest level via camera, rather than creating a large incision for visual access to the surgical site. Surgical tools are then passed into the body through another minor incision, so that the necessary work can be undertaken. MISS procedures can be performed using general anesthetic if absolutely necessary, but in many cases, patients can avoid being put to sleep and will instead be able to have the surgery while under the effects of a combination of sedative drugs and anesthetic. What procedures can be performed using minimally invasive spine surgery? Lumbar discectomy. This procedure is performed with the intention of removing a herniated intervertebral disc. The ruptured disc is not only leaking its soft, inner gel which is irritating surrounding nerves, but the loss of absorbency in it also puts pressure on the spine, causing pain, numbness and weakness. During the discectomy, the herniated section of disc is removed, reducing and even eliminating your symptoms without compromising your mobility. Lumbar fusion. Often also referred to as spinal fusion, this procedure is successfully used to treat a myriad of different back problems including degenerative disc disease, a condition characterized by the natural break-down of intervertebral discs with age-related wear and tear. During lumbar fusion, the two vertebrae are secured together so that they cannot rub against one another and cause pain and other unpleasant symptoms. Whatever type of back pain you are experiencing, if non-surgical treatments are not providing enough relief, ask our surgeon if minimally invasive spine surgery is a possibility. - Significantly lower risk of damage to the muscles surrounding the pine. This can reduce or prevent further neuromuscular issues in the future. - Improved accuracy and precision during the surgery thanks to the magnifying lens on the endoscope. - Minimal loss of blood. - Reduced risk of infection and other post-operative complications due to the smaller nature of the wounds. - Less scarring thanks to the smaller incisions. - Reduced pain in the hours and days after your surgery. - Shorter healing time, meaning that you will need less time off of work and your hobbies. - Returning home the same day as your procedure, enabling you to be back with your family and avoiding the expense associated with overnight hospital stays. 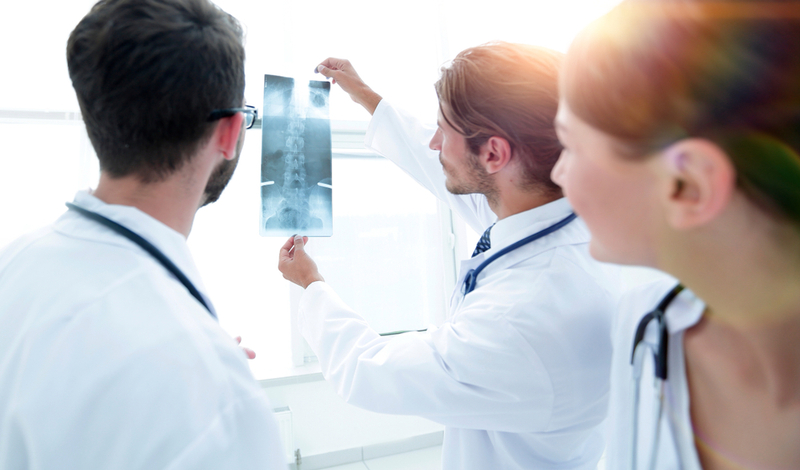 If you are suffering from back problems and would like to discover more about minimally invasive spine surgery and the benefits that it offers, our experienced and knowledgeable team are on hand to give you the information and support you need. Please don’t live with back pain for a moment longer than you have to. Contact our clinic today to schedule your confidential consultation.